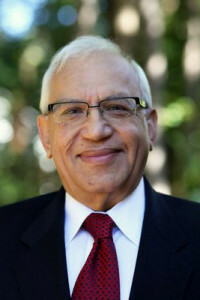 Arun Nayyar DMD MS is a former Director of Fixed Prosthodontics at the School of Dentistry, Medical College of Georgia, Augusta, Georgia. He maintains a referral based Fixed Restorative practice in Atlanta. Dr. Nayyar has published numerous research and clinical papers and is a contributor to three books. He has completed research in the area of impression materials, provisional restorations, inter occlusal records, restorative management of endodontically treated teeth. He is recognized world wide for his work in the area of restoring non-vital posterior teeth as well as information on Hi-tech Technology in Dentistry. Dr Nayyar has served as a member of the Editorial Review Board of the Journal Of Prosthetic Dentistry and the ADA National Board Test Construction Committee. He is an ADA Video Clinician, and a contributor to the AGD CE tape series. He is the recipient of the Oral Discoveries and Inventions Award from the Georgia Dental Association. Dr. Nayyar is the designer of a landmark program on New Dental Technologies in Dentistry. In addition Dr. Nayyar works by medical referral basis with Sleep Apnea patients.